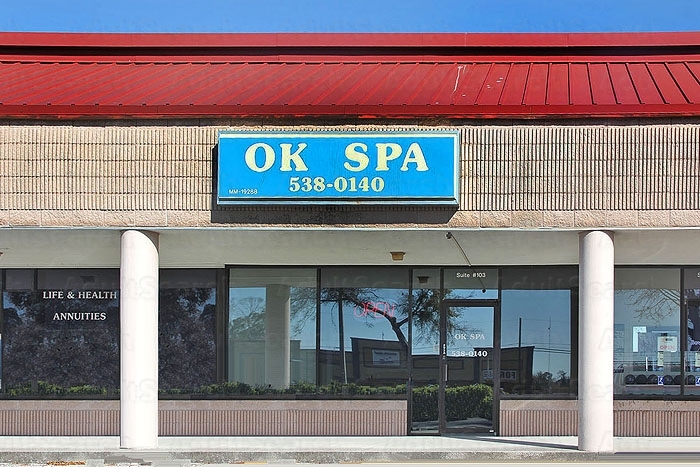 OK Spa is in a strip mall / plaza, however it is a slow plaza and the location being sort of on the end means it is reasonable private entrance/exit. It is a little older inside, but nice and clean. 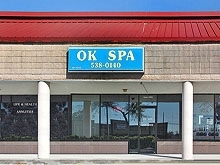 Reasonable place to stop if you are in area and want some relief. Decent price. Very clean and easy to get to for a visit. MP was typical for this area. Clean and private. It's located in a slow traffic shopping center. It looked like about 4 private rooms and a table shower room. Didn't notice any other amenties.